Earth Day (and every day) is a time to act to protect our planet. Saving energy, using less water, reusing items, reducing waste, and recycling properly are all things we can do to help our environment. You can make a difference! Earth Day is on Sunday, April 22nd, so Quail Lake will be celebrating Friday, April 20th. 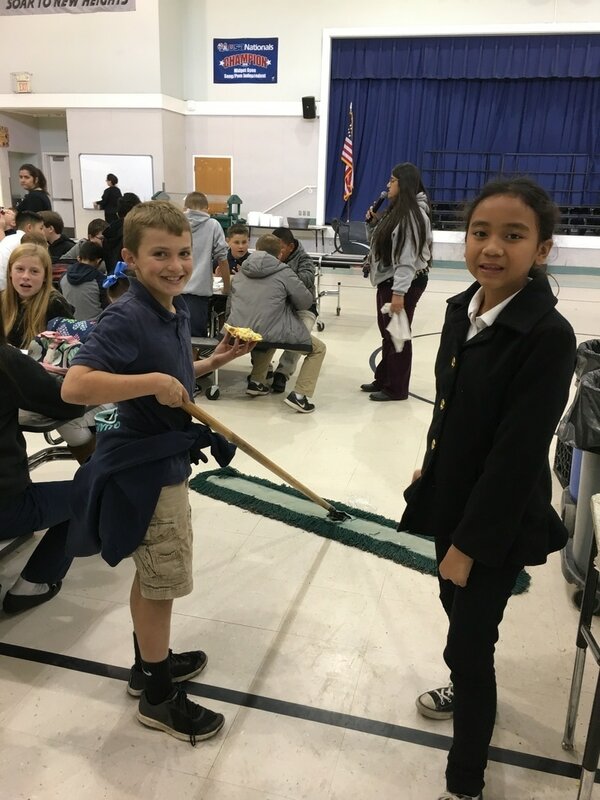 On Friday, May 3rd, 2017, State Superintendent of Public Instruction Tom Torlakson announced that Quail Lake Environmental Charter School has received the California Department of Education’s Green Ribbon Gold Level recognition. It is the first school in Fresno County to earn this distinction. The California Department of Education's Green Ribbon Schools recognition award honors schools, school districts, and institutes of higher education for demonstrating exemplary achievement in three “pillars.” Pillar I: reduce environmental impact and costs; Pillar II: improve the health and wellness of schools, students, and staff; and Pillar III: provide effective environmental education that teaches many disciplines and is especially good at effectively incorporating science, technology, engineering, and mathematics (STEM) education, civic skills, and green career pathways. 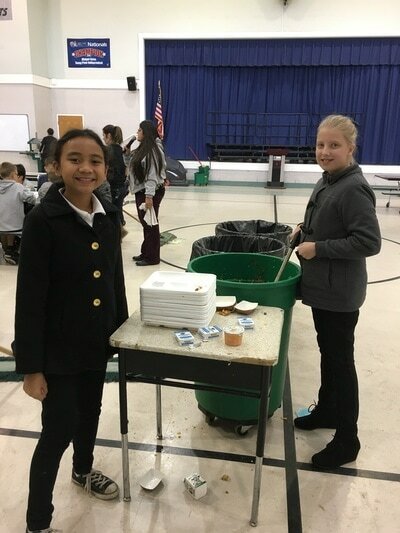 As part of the award process we highlighted our 4,000 square foot garden, our integrated units that focus on Next Generation Science Standards and environmental topics, our outdoor educational opportunities, and our Agriculture initiative featuring our school compost and waste reduction project. The recognition award is part of a larger U.S. Department of Education effort to identify and communicate practices that result in improved student engagement, academic achievement, graduation rates, workforce preparedness, and reinforces federal efforts to increase energy independence and economic security. Thanks to the many people in the district and community who supported our efforts. 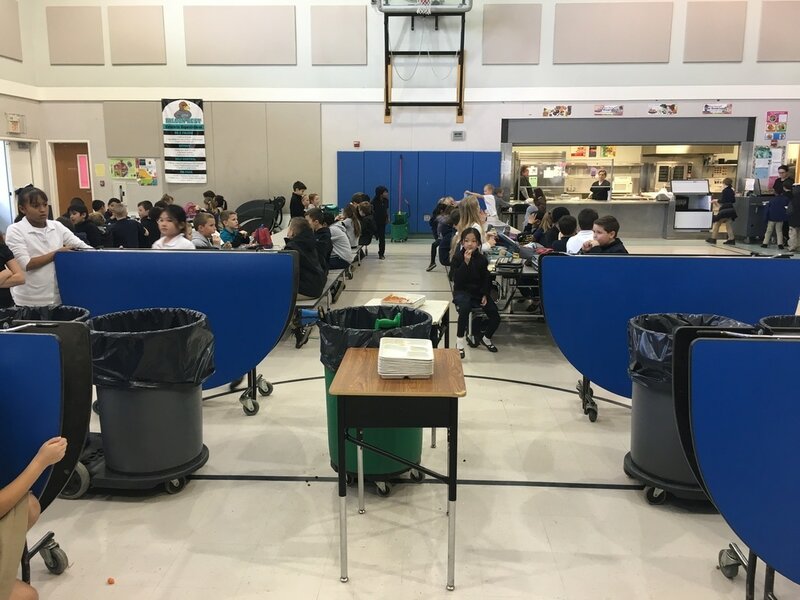 Did you know here at Quail Lake, we compost all of our food waste from the cafeteria? We do! Whatever food students don't finish from the cafeteria, and their own lunches packed from home, goes into our "green" compost cans, and then into our compost bins. Students learn the process food plays in making compost through garden lessons on a biweekly basis. 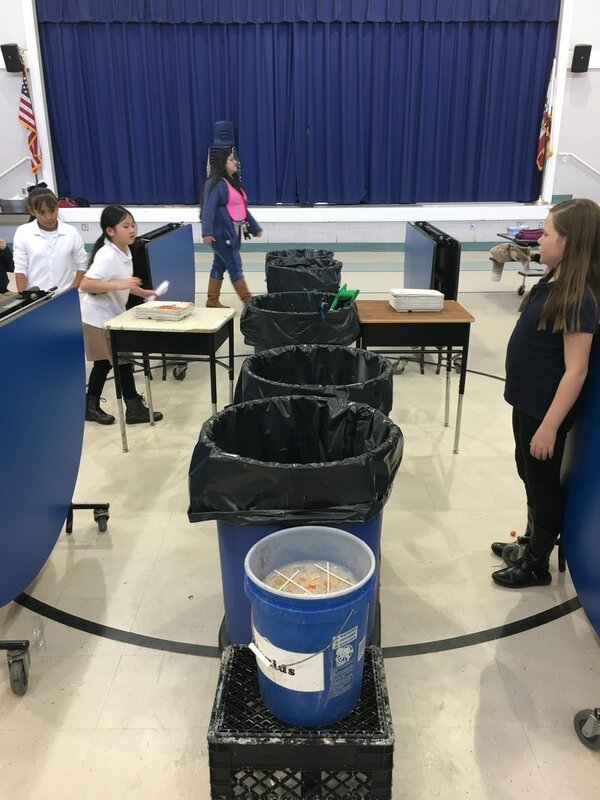 Because compost is made on our site, students observe the process from beginning to end. We are so excited to tell you about a very special program we are coordinating at our school in conjunction with Crayola. It’s called Crayola ColorCycle – an amazing new program devised to turn used markers into energy! All around Quail Lake Environmental Charter School, students and teachers will be collecting used markers that are ready to be discarded. The markers will be sent to a facility where they will be converted into clean fuel. This fuel can be used to power vehicles, heat homes, cook meals and more! Please help support our efforts by sending your kids in with any used markers you may have around the house – even non-Crayola brands. Drop-off boxes will be located in the office and your child’s classroom to deposit the markers. Remember, don’t throw out that used marker--ColorCycle it!